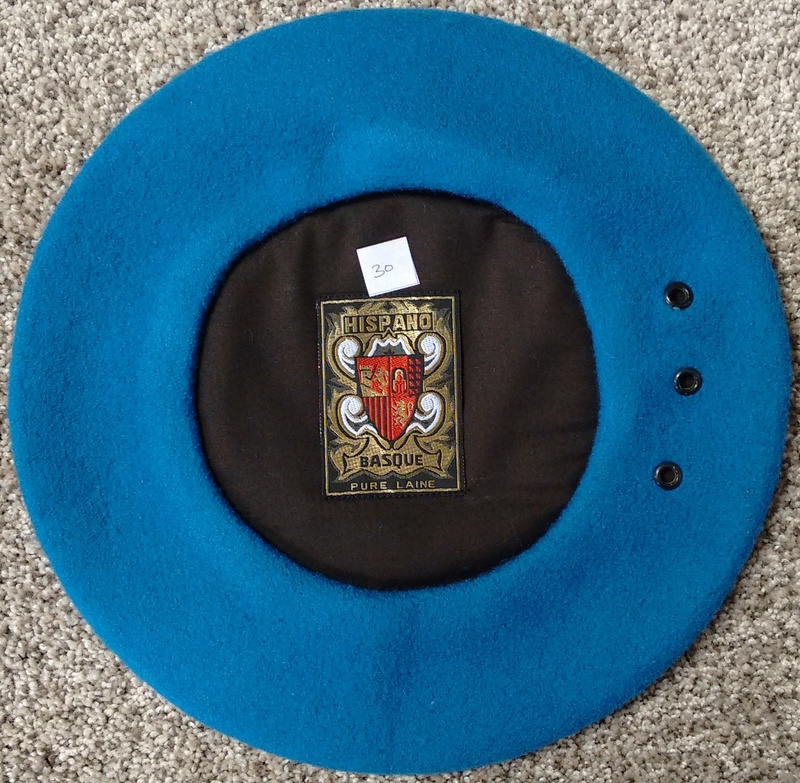 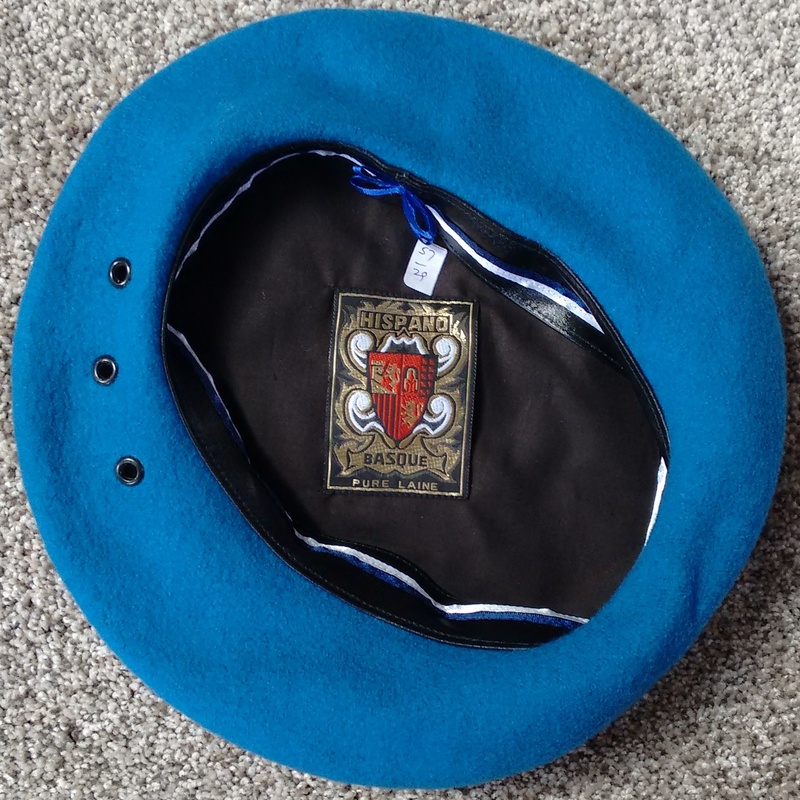 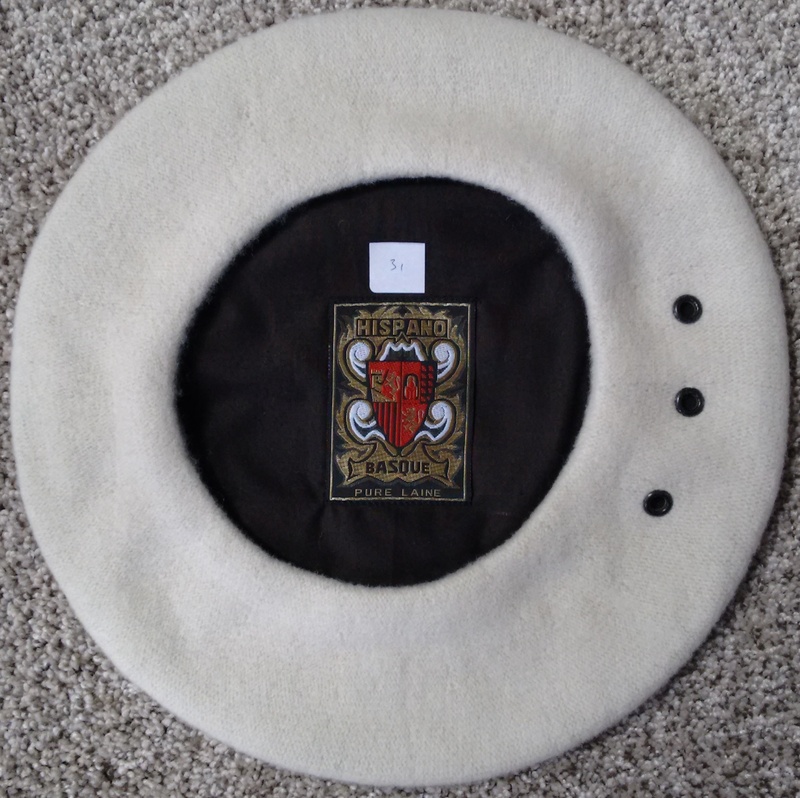 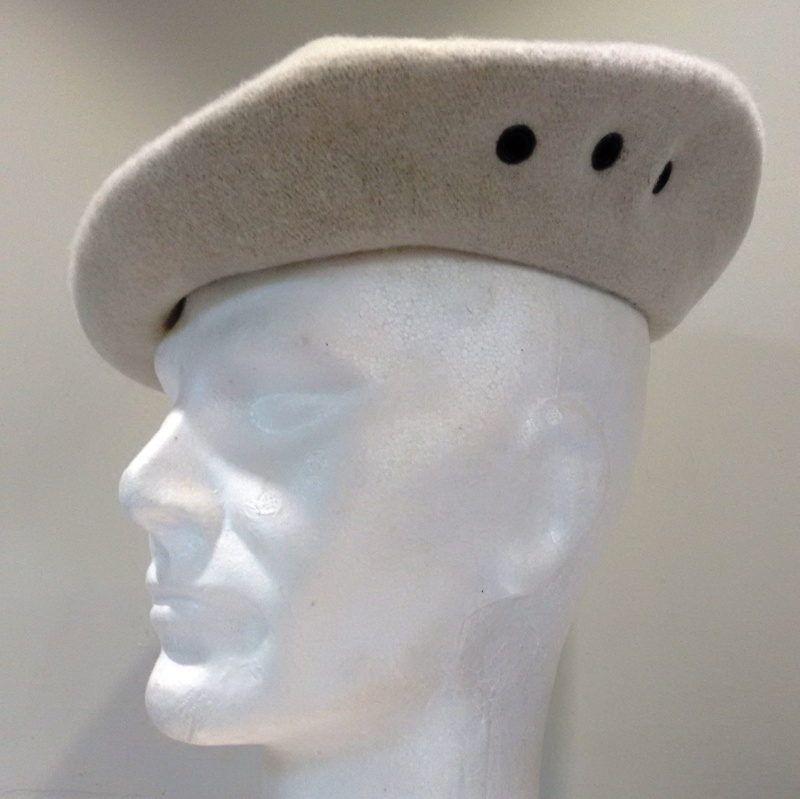 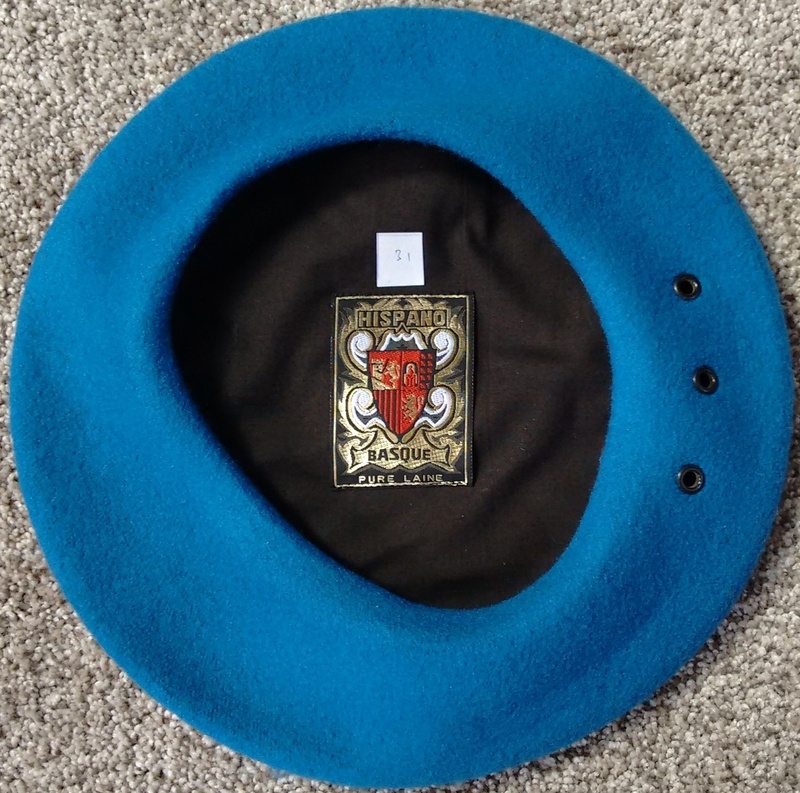 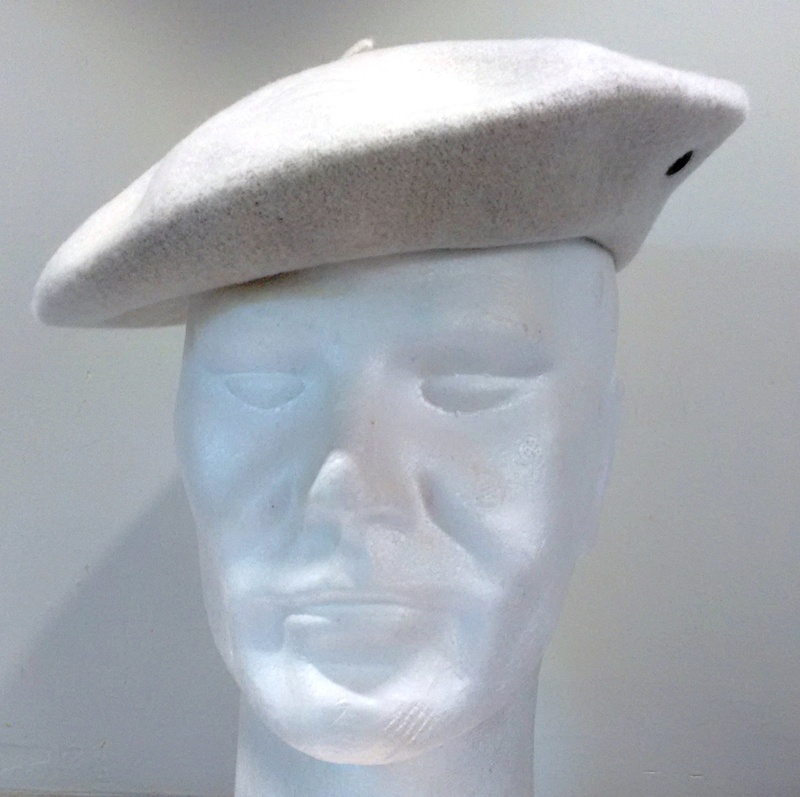 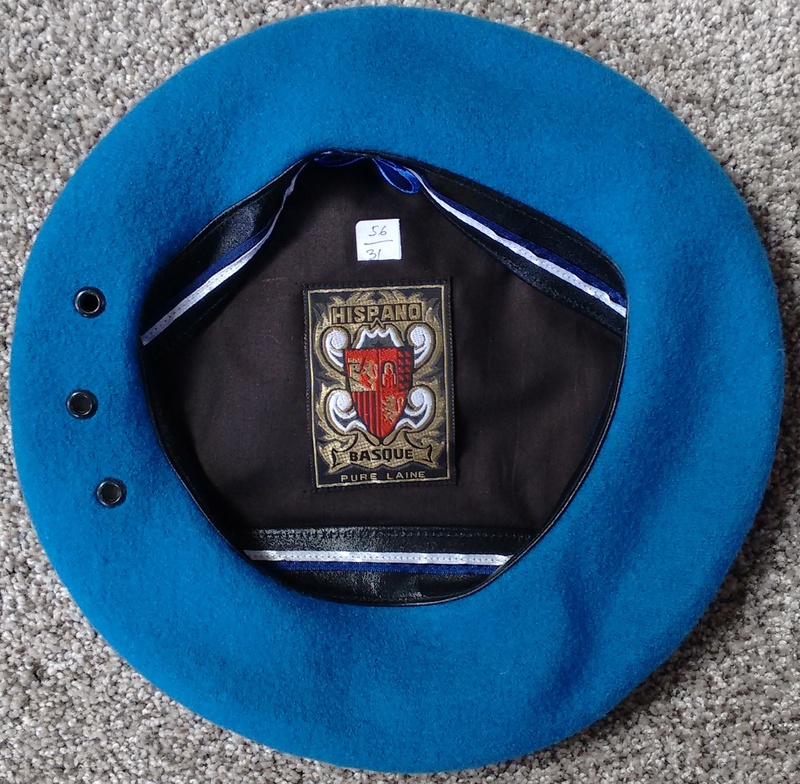 The Hispano Basque Naturels are South Pacific Berets' own unbleached and undyed berets; natural wool in its original colour with the occasional blemish or colour difference due to the natural wool fibres. 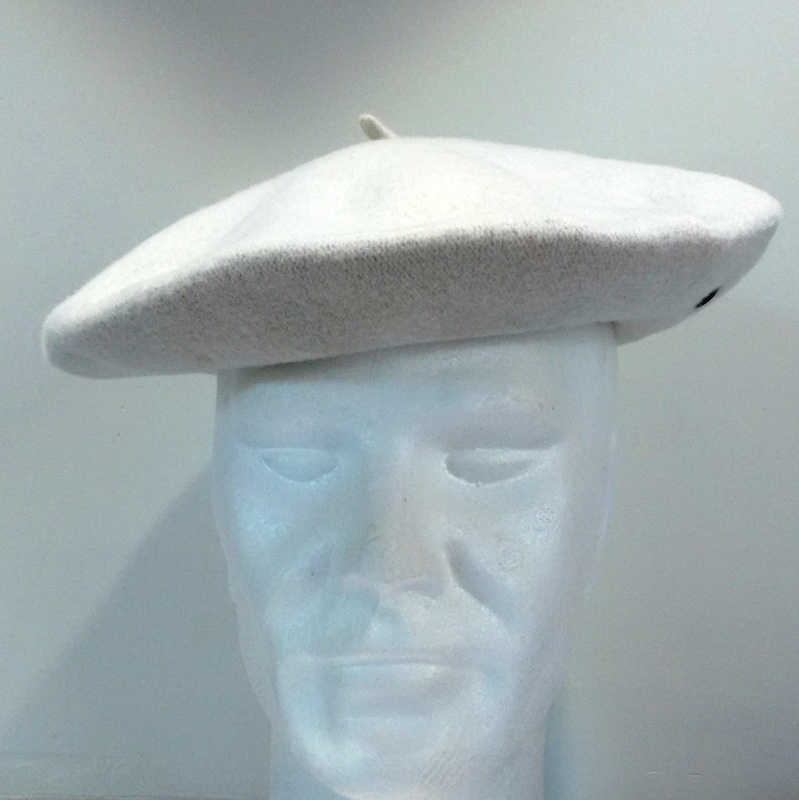 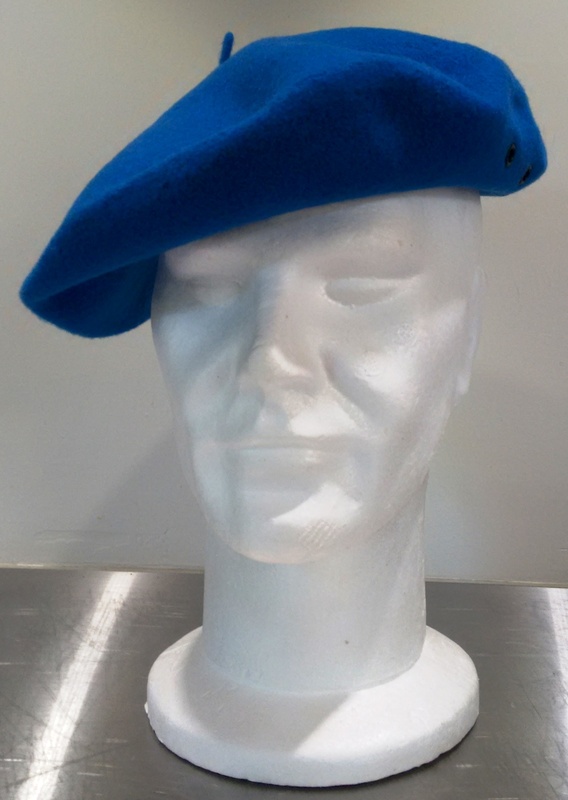 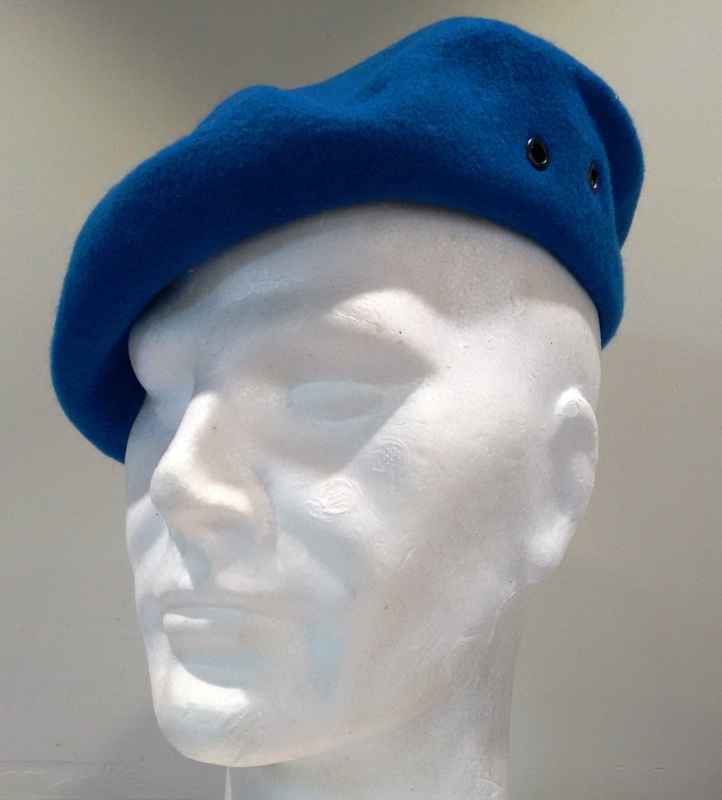 These berets are available in three diameters: 270mm, 290mm and 310mm (resp. 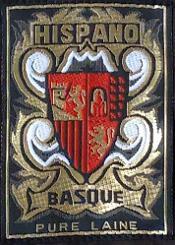 10.6", 11.4" and 12.2"), fitted with a cotton lining, the woven Hispano Basque label and three air vents on the side. 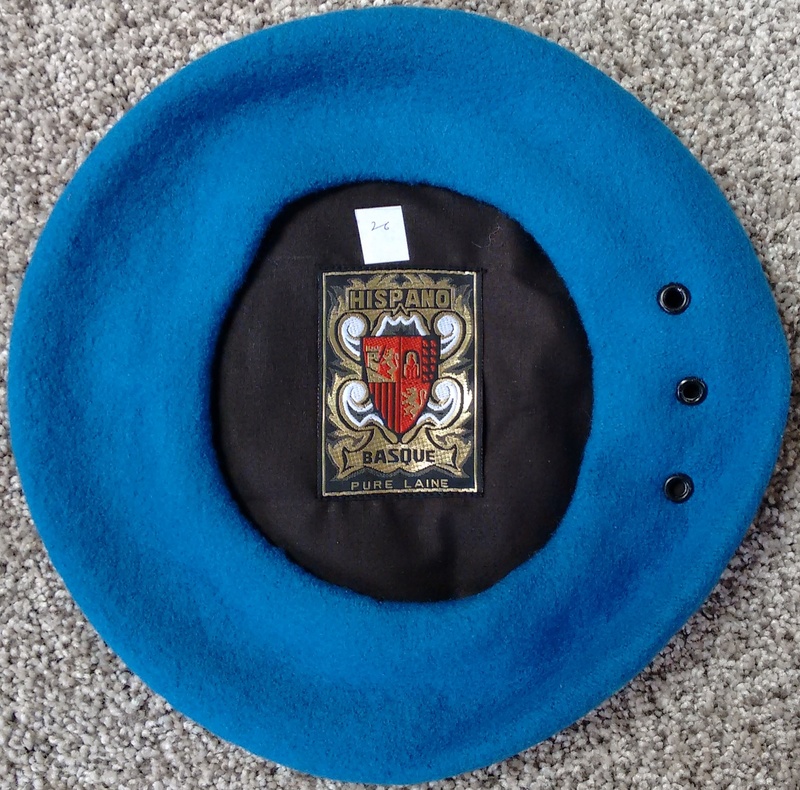 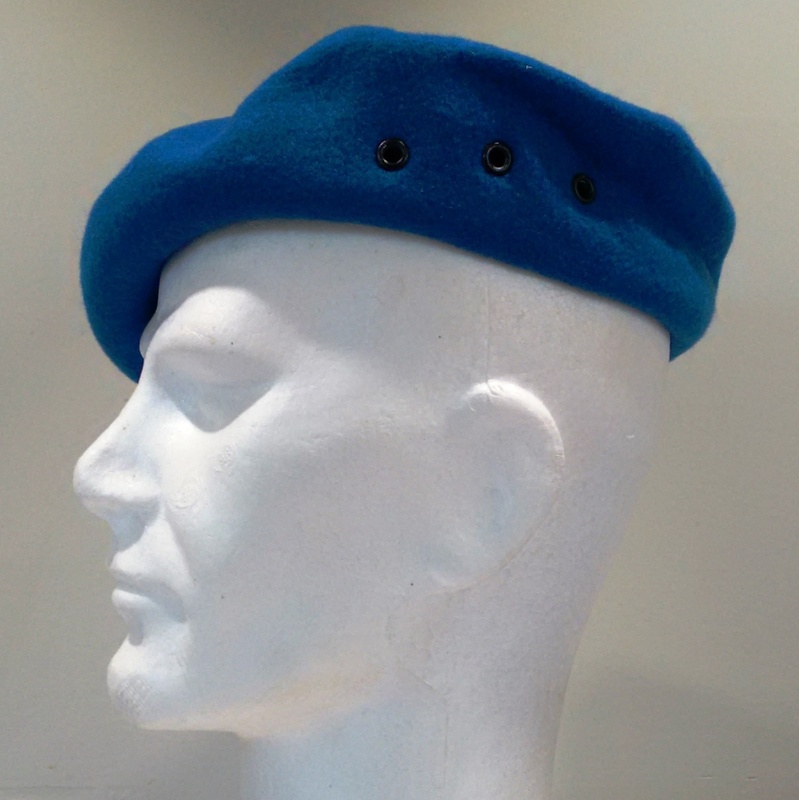 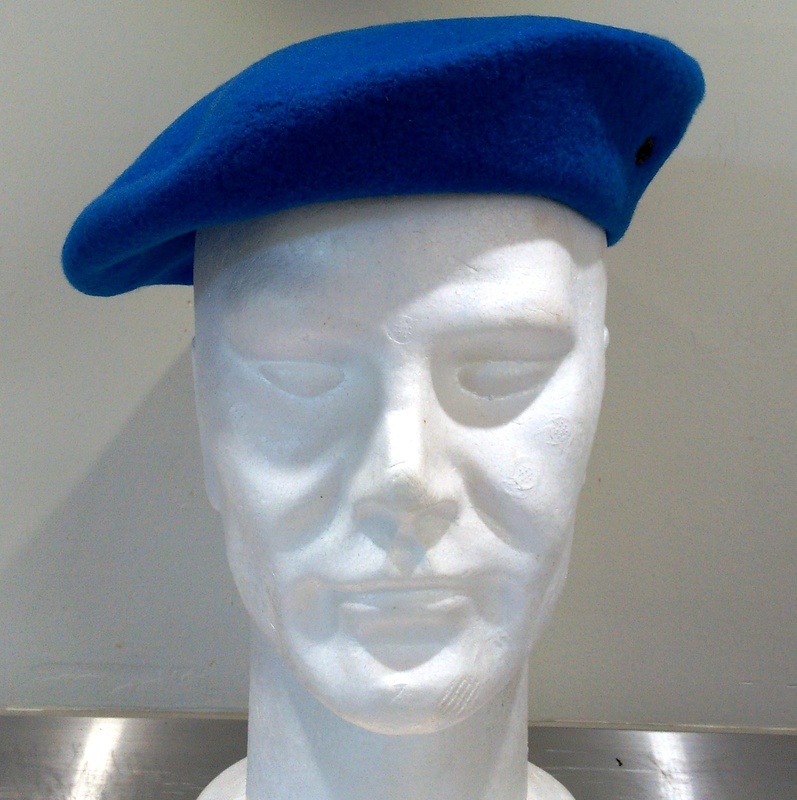 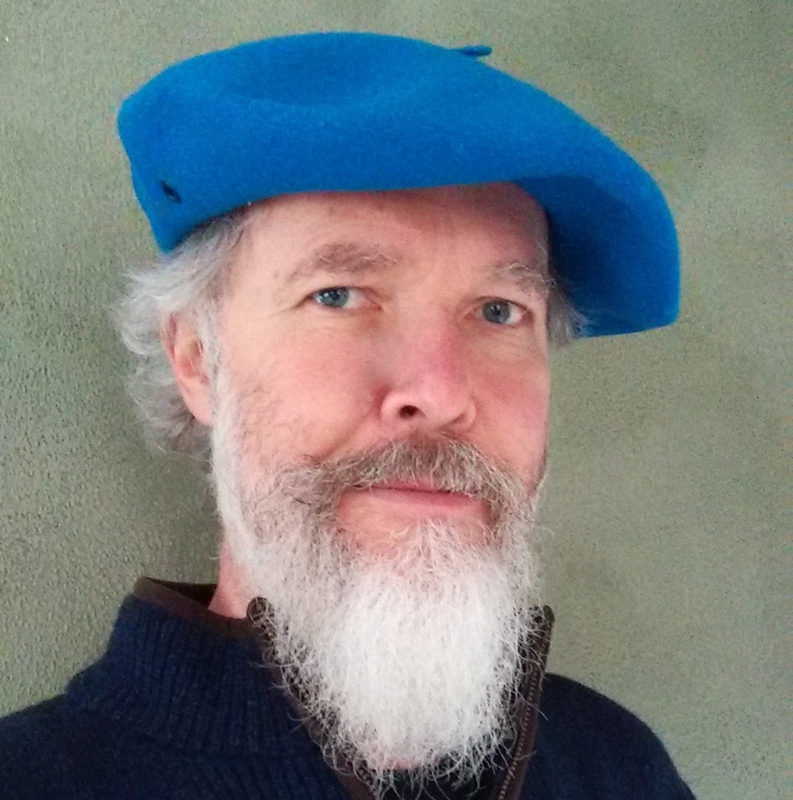 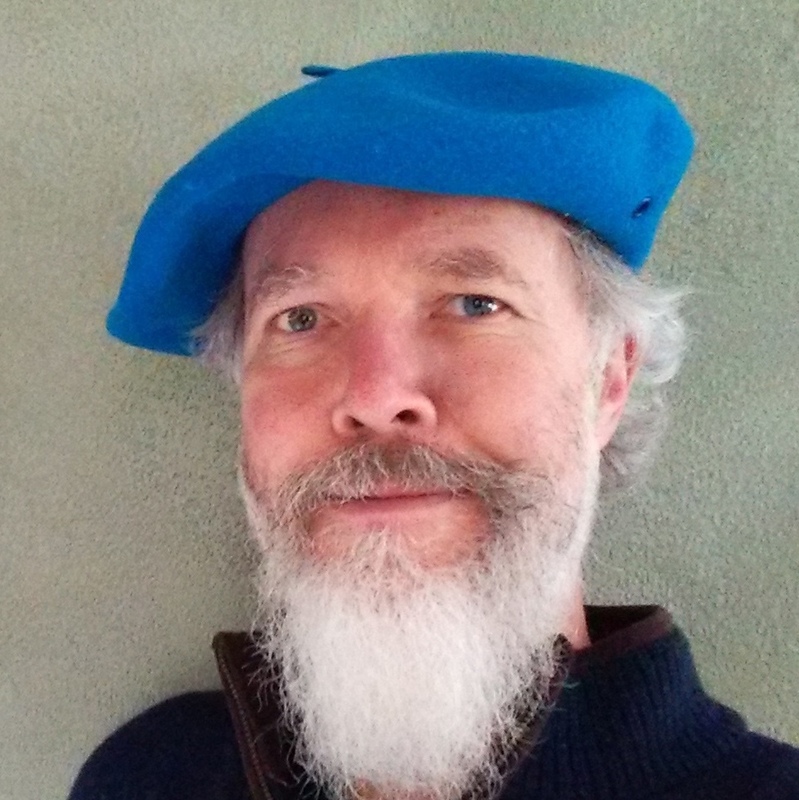 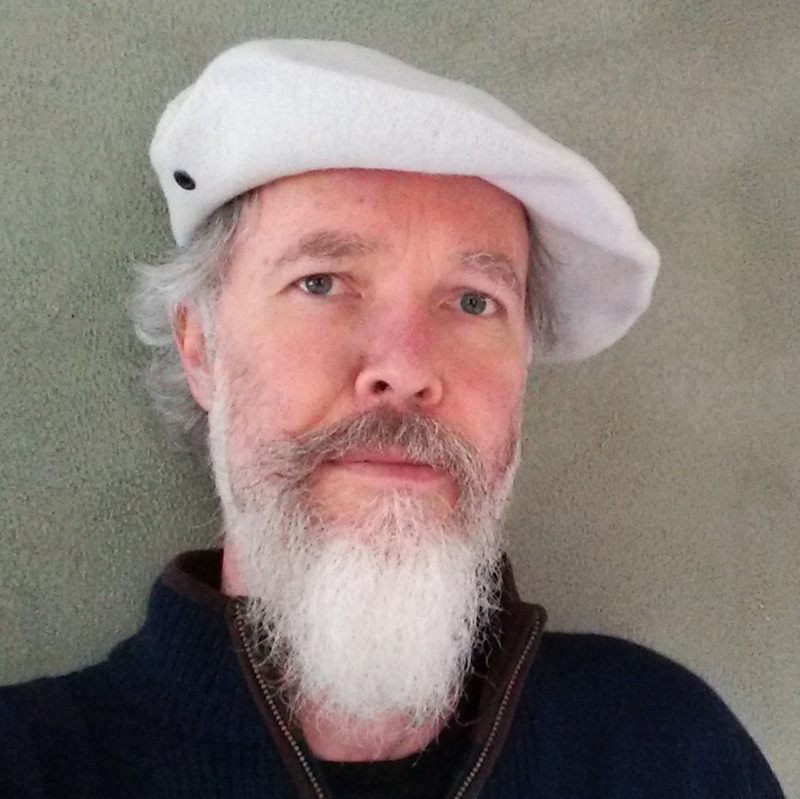 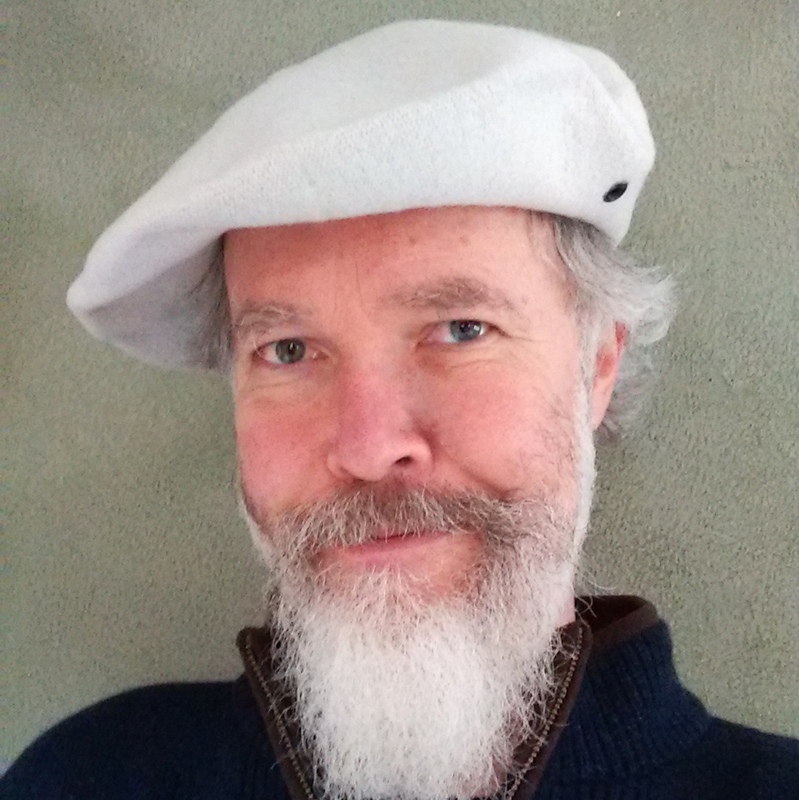 An excellent and comfortable 100% wool beret for warm weather. 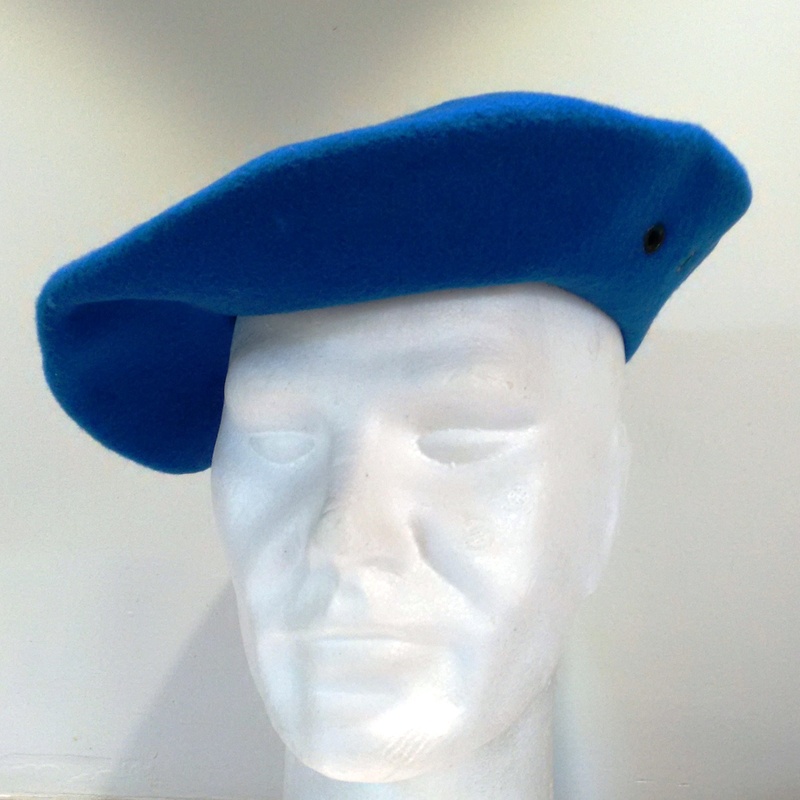 Bleu de France (Blue of France) is a colour traditionally used to represent France. 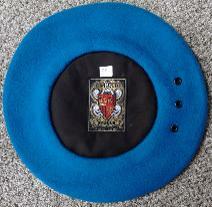 Blue has been used in the heraldry of the French monarchy since at least the 12th century, with the golden fleurs-de-lis of the kings always set on a blue (heraldic "azure") background. 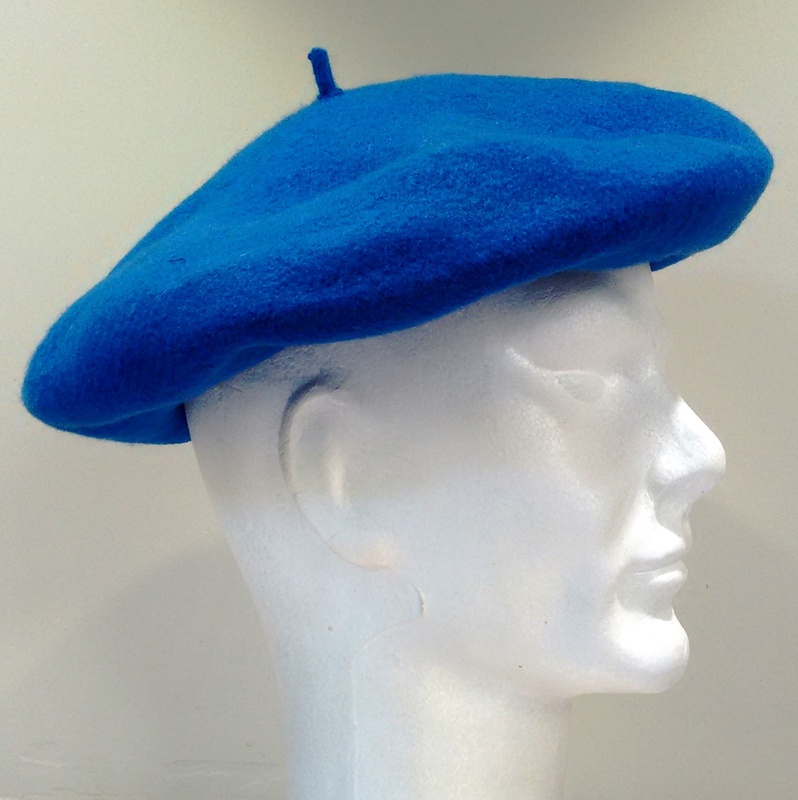 A brighter version, based on the blue of the French Tricolour, is used in modern times, particularly in a sporting context. 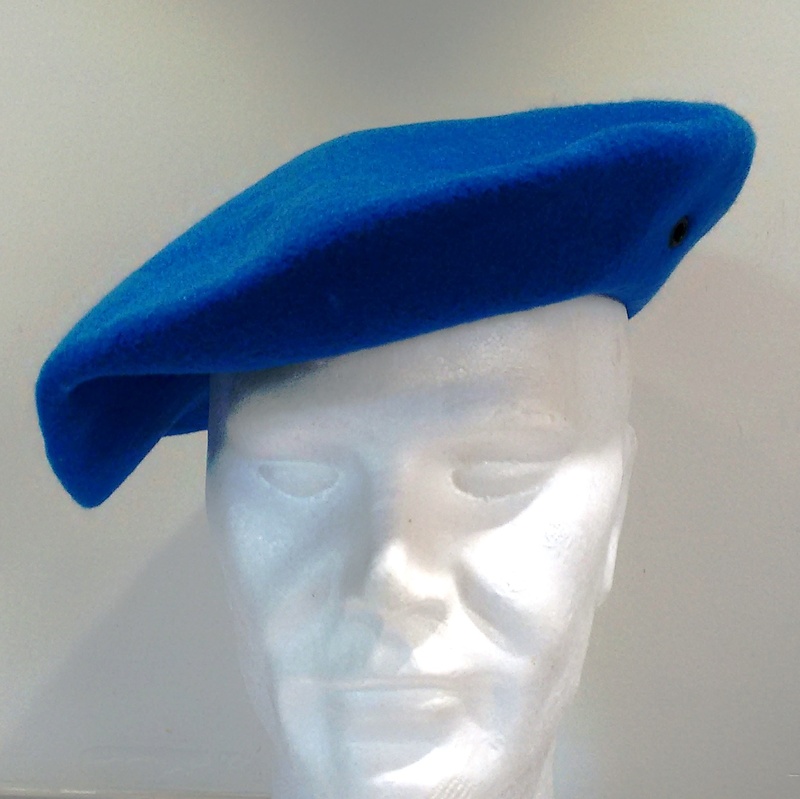 French national teams in all sports will normally use blue as their main colour. 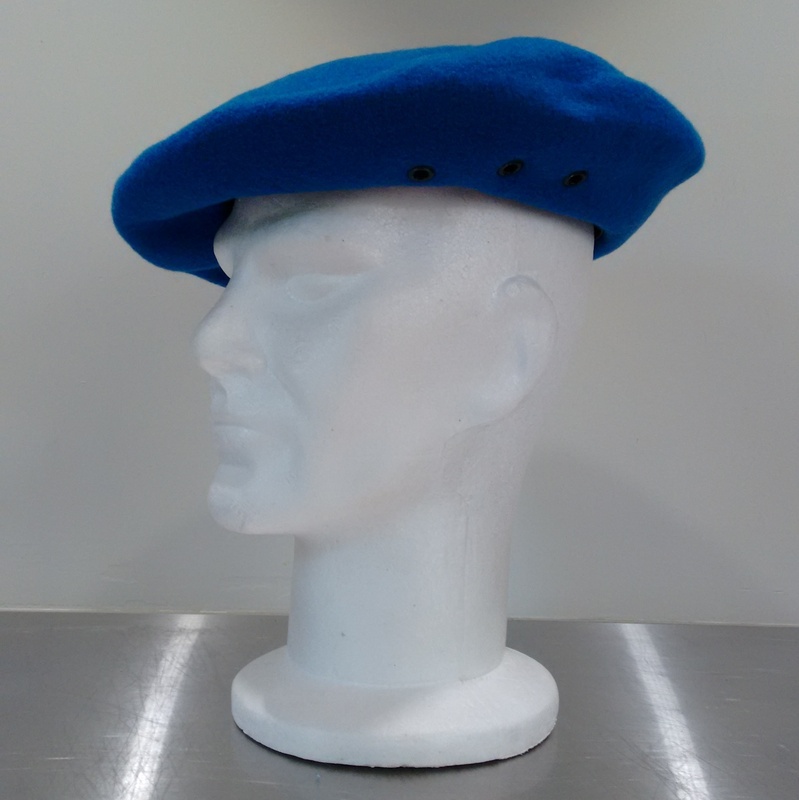 Blue is France's national racing colour and several French motorsport teams have used it, including Alpine, Bugatti, Delage, Delahaye, Matra, Panhard, Peugeot and Voisin.